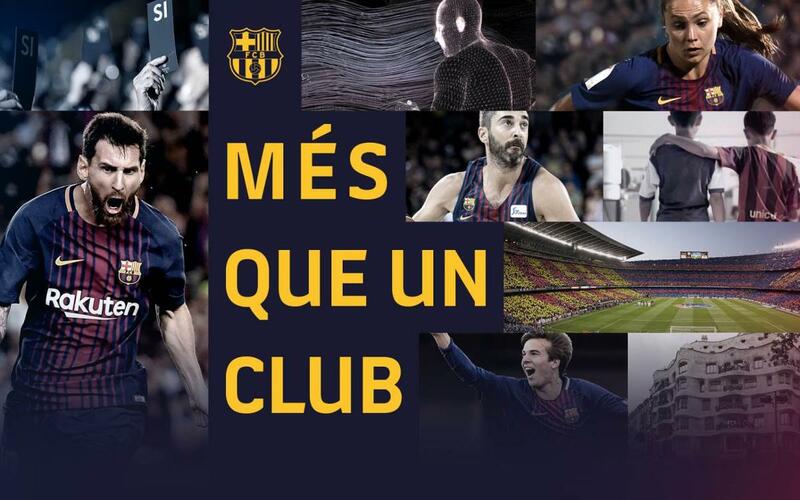 The year 2018 brought with it the 50th anniversary of FC Barcelona’s famed slogan, ‘Més que un Club’ (‘More than a Club,’ in Catalan), four simple words that, over the years, have become a ubiquitous reminder of what Barça means, both on and off the field. But while the slogan today is known around the world, the first time it was ever said, it was not yet a slogan, but rather an honest statement from the former Club president Narcís de Carreras, who uttered those very words at his nomination speech in 1968. Now, five decades later, the credo ‘More than Club’ is firmly established around the world as a short and sweet explanation of the Barça brand. And with the goal of making FC Barcelona — in all its complexity — better known around the world, the Club has devised an international campaign to set forth the main pillars that underpin those famous words, which, over time, have painted a picture of Barça that goes beyond football and gives meaning to the Club’s uniqueness. Through the campaign, the Club hopes to show the world its commitment to sporting excellence, social issues, and innovation, especially in markets that have been deemed strategic by the Club, like China, Brazil, Indonesia, Japan, Turkey, Mexico and, especially, the United States, where this summer the team is going on a preseason tour that will take it to Los Angeles, Dallas, and San Francisco. FC Barcelona will also bring the campaign to New York, where it has its US headquarters. The campaign consists of a video that can be seen on all of FC Barcelona’s social media accounts (#mesqueunclub), and in the coming weeks it will also appear in various international media outlets. This summer, the campaign will also be at Camp Nou, where the slogan will be slightly modified as it appears in the stands. The large yellow letters in the seating area of the second level will read: WHAT DOES ‘MÉS QUE UN CLUB’ MEAN? It is a Club that believes in and represents certain values: humility, effort, ambition, respect, and teamwork.